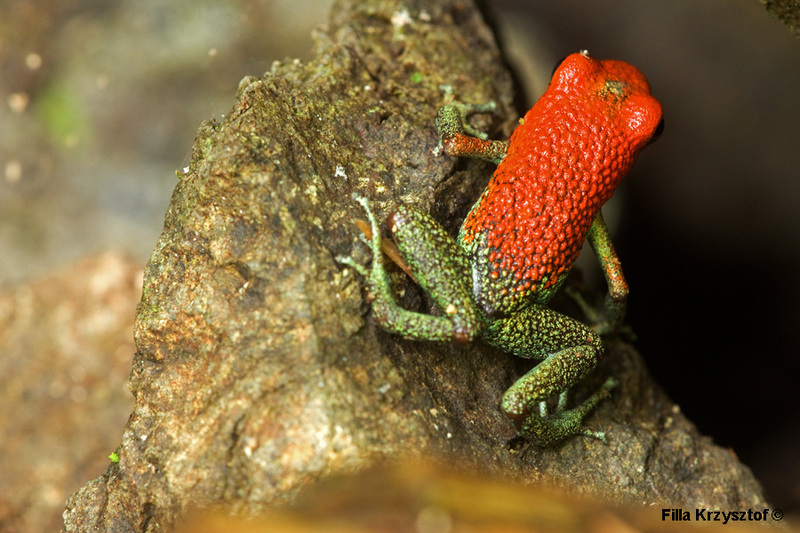 The granular poison dart frog (Oophaga granulifera) is related to the strawberry poison dart frog but is much more limited in range. It exists only in the south-west Costa Rica and in the north-west Panama. Due to the small area and declining population it is on the list of the vulnerable species. Since this frog contains poison in its skin and warning coloration unlike other frogs it is diurnal. Their diet comprises up to 86% of small ants. Ants use venom to immobilise their prey and some toxic components of the venom are found in concentration on the skin of the granular poison dart frog.